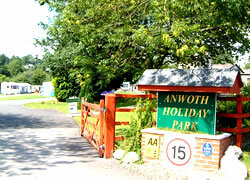 You only have to look at Loch Ken's vital statistics to understand why it is such a popular location for camping UK. Loch Ken is a 9-mile long freshwater loch in Dumfries and Galloway; fed from the North by the water of Ken and from the west by the River Dee, this is a popular loch for fishing, sailing and water-skiing (although few visitors manage these simultaneously). 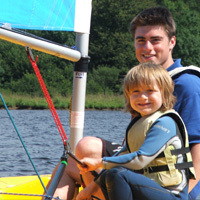 Loch ken even has its own water ski school, so if balancing and floating whilst being towed at high speed is something that you have always wanted to master, then Loch Ken might be the place to give it a go. Birders will know Loch Ken as a great location from which to observe Red Kites in all their natural glory, there being a stronghold for these once endangered birds, supported by a local feeding station which visitors can watch. Other local feathered inhabitants include goldcrest, barn owl, sparrowhawk, red grouse, black grouse, greylay and the great-spotted woodpecker, all thriving in this beautiful natural environment. These options for Loch Ken camping will place you closeby the loch and the wildlife it supports. 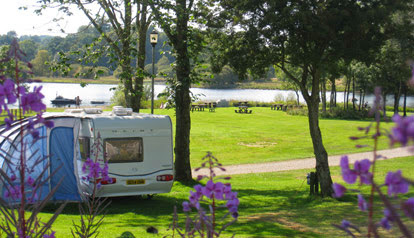 There's plenty to immerse yourself in around each Loch Ken campsite. To get a flavour of the local culture, visit the popular market town of Castle Douglas. For walkers, the new 'walking destation area' of the Glenkens in a great draw. Course and pike fishing on Loch Ken have long been popular (the largest pike was said to have been caught in 1798 at a massive 72lb, so that's a record to set your sights on during your camping trip). Or you could just relax and enjoy the peace and tranquility that this region has to offer. 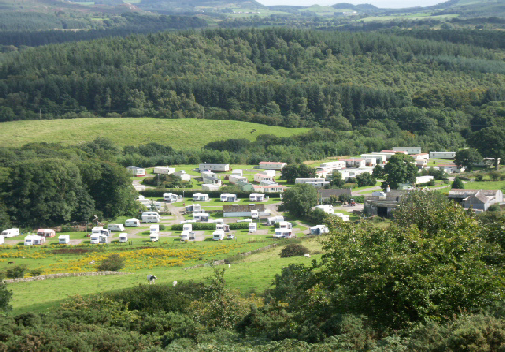 Search the listings of each Loch Ken caravan park or campsite to find your ideal pitch and plan your stay using our venue search to find out 'what's on' around each individual site.